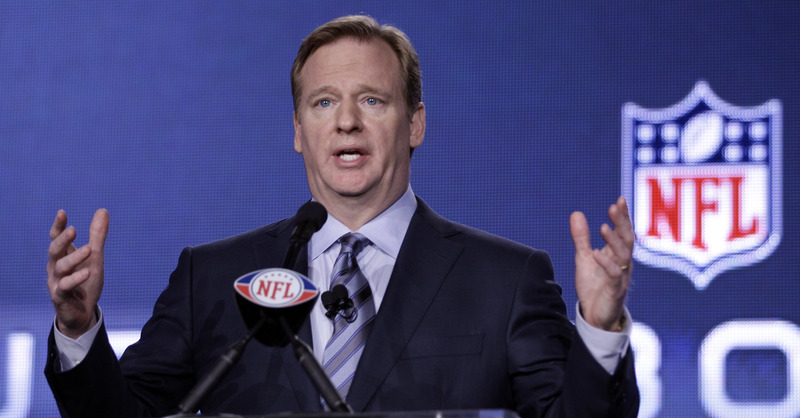 Give NFL commissioner Roger Goodell credit for telling the truth, at least when talking about the ill-advised and ill-implemented NFL personal conduct policy. He once again acknowledged that “I blew it. Our penalties didn’t fit the crimes.” Blow it? Yeh, no kidding! As reported by The Wall Street Journal, Goodell said that the two-game suspension for Baltimore Ravens running back Ray Rice’s striking and then dragging his then-fiancée (now wife) Janay was not enough. But Goodell ran into the problem of double jeopardy when he then changed Rice’s punishment to indefinite suspension from the NFL. Goodell’s rational for this decision being that the video tape from the casino where the incident happened back in February was new information. A judge hearing Rice’s appeal on the basis of double jeopardy, of being punished twice for the same crime, overturned the suspension, calling Goodell’s decision “arbitrary.” This has undoubtedly left NFL owners and Goodell wondering what will happen with Rice’s next legal complaint, a grievance against the Ravens for wrongful termination of his contract. If Rice wins this battle, he could collect over $3 million. In the same interview, Goodell also said “I’m not trying to run away from this problem which is a societal problem. But people hold the NFL to a high standard.” While this may be very true, nevertheless Goodell has spent plenty of time during his tenure talking about “defending the shield” (aka, the NFL brand). It seems his time might have been better spent making sure the actions of players, team owners and NFL employees alike intent on making sound decisions in true integrity; decisions that would be worthy of being defended. The newspaper claimed that there have been 135 domestic violence allegations against players since the year 2000. However, most of the cases were dropped because the accusers refused to press charges. Of the incidents where charges were pressed, if the players received any punishment at all, it was most often a one-game suspension. In the meantime, the paper announced that NFL owners have voted unanimously to approve a revamped personal conduct policy. Under this change Goodell will no longer be involved in any initial disciplinary proceedings although he’ll retain his current role on appeals. In addition to making a “more rigorous and transparent process for those initial disciplinary decisions,” the league will conduct independent investigations as opposed to using information taken from police reports. In response Jeff Pash, the NFL general counsel, told NFL.com’s Ian Rapoport, “We sent [the NFLPA] the policy. Numerous meetings with them. The union knows every element we’re talking about.” So going forward, it remains to be seen exactly how all this will work out.